Please leave a message if the phone is not answered and expect a quick response. Lots of 'plane' talk, an ICON light sports craft factory tour, stimulating CME presentations and group discussions, great fellowship, and a day-long Napa Valley wineries tour.....what's not to like? 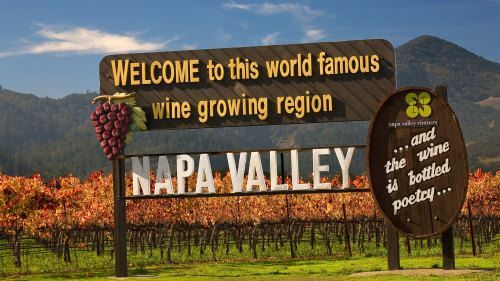 Western Chapter planner Dr. Randy Edwards visited Napa Valley and the ICON facility at Vacaville in early December 2016 and reported "This is going to be a fantastic meeting! We're going to have a lot of fun." Like many, he was concerned about the fires and stories of wineries burning to the ground in Napa Valley. He found little evidence of the fire damage (some trees high on a mountain)! There were winery owners eager to welcome FPA members, an ICON staff excited to show off their LSA and a winery tour guide committed to making the trip the best one ever. HOTEL: Courtyard Marriott Vacaville, just 8/10 mile from KVCB. Make your hotel reservations with your favorite travel agent or hotel booking online service. Airplanes, wine country and the camaraderie of physician-pilots and their families. Join us!